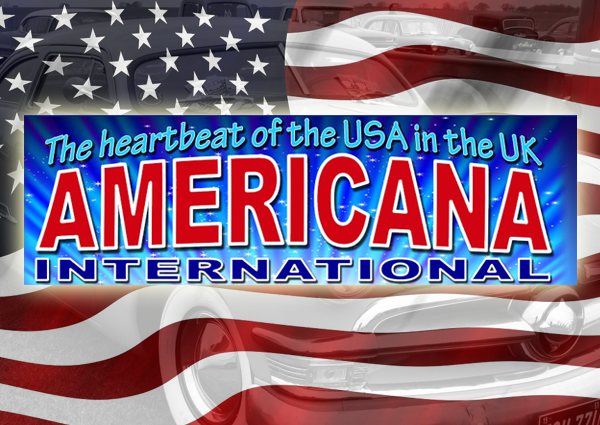 The heartbeat of the USA in the UK! For well over three decades, the event has given its faithful supporters a long weekend of cool American music, great cars, motorcycles, trucks, RV’s from the early 1900s to the present. The Saturday and Sunday auto/bike displays are second to none with a huge number of top class cars and motorcycles entering the expertly judged ‘show and shine’ displays. With forty prestigious awards on offer competition will be strong. Anyone wishing to attend the event as an auto/bike exhibitor should request the correct entry form. Americana can be contacted by telephone or email (see details below). A huge line-up of popular music acts from the USA/Europe/UK performing a great mixture of rock’n’roll/country/r&b/blues/alternative music from the last five decades. Thursday camping must be pre-booked. Gates open for pre-booked campers at 1pm. You can turn up from Friday for weekend camping and pay on arrival. Camping facilities are available including showers, plenty of toilets & disabled facilities. Event ends 10pm Sunday 12th.